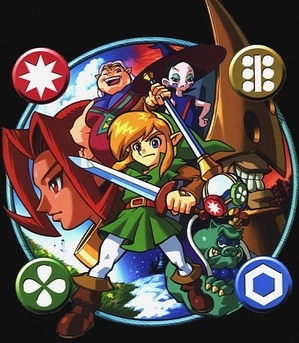 Generally our thematic analysis of the antagonists in the Zelda series has revealed repackaged versions of the typical story of good versus evil, with more specific messages interwoven within that general framework. Seldom have we encountered commentaries on specific social issues. Like Malladus of Spirit Tracks, however, the villains of the Oracles saga represent not a metaphysical evil but a violation of ethics that is deeply rooted in our modern day dilemmas. 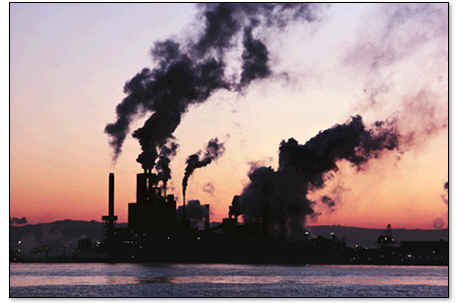 Their transgressions are not only against human society, but against the order and harmony of the natural universe. What the English versions call “Essences” of Nature and Time, the Japanese version calls the “Reasons.” Literally speaking, the Reasons are the fundamental pieces of the fabric of reality. Without them, the word is thrown completely out of balance and may even cease to exist. You could think about them as the forces of nature, but blown up to spiritual proportions. By meddling with the Seasons and with Time, Onox and Veran corrupt the world’s Reasons – and the Triforce chooses Link to restore them. It’s not a terribly different scenario in the sense that he still has to fight evil ones who threaten the world with darkness, but the stakes are much higher – not only does the peace in Hyrule hang in the balance, but so does the order of the entire world. Onox’s target is the Oracle of Seasons, and when he captures her and sinks the Temple of Seasons the weather patterns in Holodrum become erratic. Crops freeze over and snowdrifts seal people inside of their homes, scorching summer heat melts the accumulated ice and causes floods, and if the unbalance carries on too long there may be no way to sustain a stable way of life ever again. The havoc wrought by his actions lights the Flame of Destruction – one of the first of three beacons of doom in our world. Whether or not you believe in the threats posed by large-scale man-made climate change, it still holds true that we must work to ensure that our actions do not similarly desecrate the balance of nature in order to avoid cataclysmic results like the ones seen in Holodrum. In Oracle of Ages, the threat is much more difficult to tie down to our own world, since time travel is of course just the work of science fiction, far beyond our grasp. Nonetheless, what Veran does with her stolen power to manipulate time rings very true with modern concerns. She creates an endless day, which she uses to force the people of Labrynna to work unceasingly on her tower to the skies. In the West (and increasingly in the East as well) there is a growing concern that human beings are becoming obsessed with the idea of time management. We always have to make sure we make the most out of our time, whether to earn capital for our businesses or a living for our families, to make sure we get good grades and have the extracurricular credentials to secure a good job or recommendation for college. On the surface this looks like a very society-centric concern – not the nature-centric catastrophe I’ve been harping on – but think about how this attitude has affected people. We’re simply not designed to be so obsessed with work – hence rising levels of stress, depression, and illness in recent decades. Veran forcing the builders of her tower to work without pause is itself unnatural; human beings require rest and leisure in order to stay strong (and sane). The Flame of Sorrow her actions bring to life represents the negative impact such an absurd work ethic has wrought. When combined, these two flames – Destruction and Sorrow – produce Despair, as represented by Ganon, the supreme evil in the world of Hyrule. We’ve seen it a million times – when the people suffer and live in fear of destruction, they will sink into despair. Despair leads to anger and desperate action and thus serves as the seed of evil. It’s only fitting that the force summoned to counter this evil is itself a seed – the Maku Seed produced by restoring the Essences to their rightful place. Therefore, rather like Spirit Tracks, which reminded us that our modern society is a fragile interconnected framework, the Oracles games urge us to work to care for our natural world and our natural selves lest we reap dire consequences. Themes in Motion is a regular article series that plans to cover the major story themes of every game in the Zelda series. As you read, please consider your own reactions to the games’ stories and feel free to reply in the comment sections with any thoughts you may have that differ from or go beyond what is explained in the article. Entries in the series will release every other Tuesday, each covering a different theme.